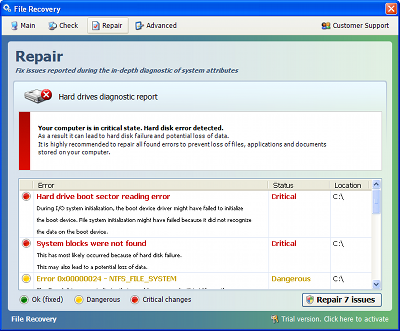 File Recovery is a fake Defragmenter tool (rogue) from the same family as: FakeHDD. 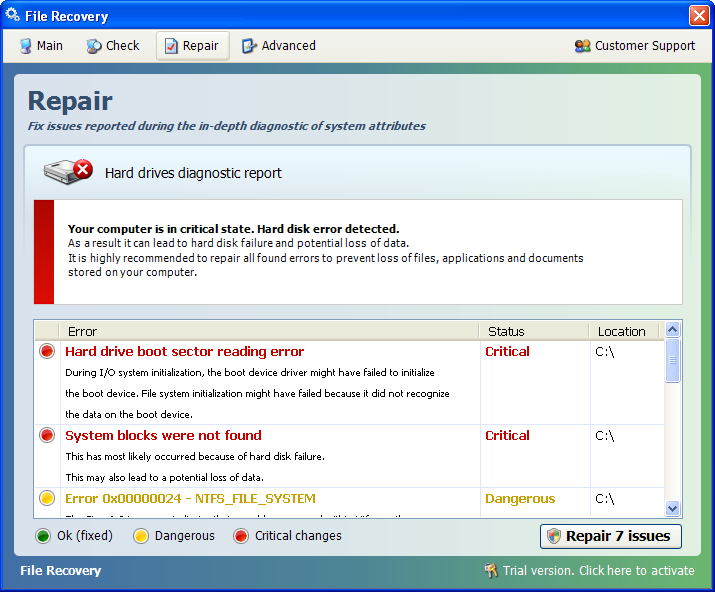 It replaces Data Recovery, Smart HDD. To register (and help removal), use this code: 56723489134092874867245789235982 with any email address.